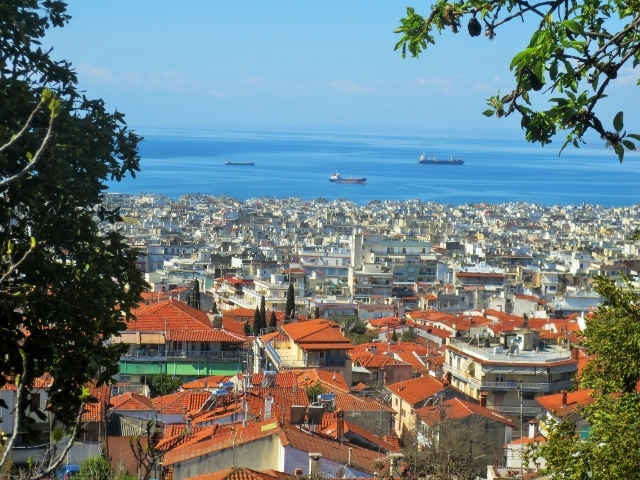 THESSALONIKI, Greece — When thinking of the historical hubs of Jewish life in pre-Holocaust Europe, most Jews evoke stories of their ancestors’ “old country” — places like Poland, Germany, Hungary and Russia. Surprisingly, as I learned during a recent visit, Thessaloniki, Greece, the country’s second-largest city, has one of the richest and most vibrant Jewish histories in the diaspora. 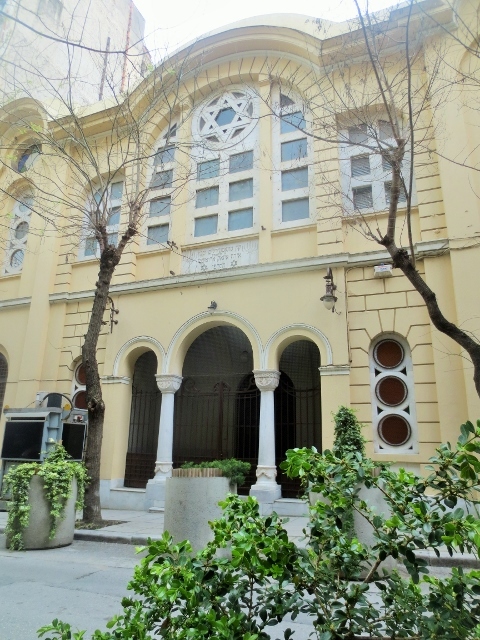 In fact, Jews were such an integral part of the city’s heritage, Thessaloniki once had 32 working synagogues and was known by the moniker, “Madre de Israel” (Mother of Israel). The highlight of my spring trip to this northeastern Greek port city of about a million residents was a visit to the Thessaloniki Jewish Museum. There, I met with Erika Perahia Zemour, a Greek Jew who has managed the museum since it first opened in 2001. If there is anyone qualified to talk about the history of Jewish life in Thessaloniki, it’s Zemour. In addition to managing the museum, she has traced her family back 16 generations in Thessaloniki to 1504. Both of her parents were Holocaust survivors. 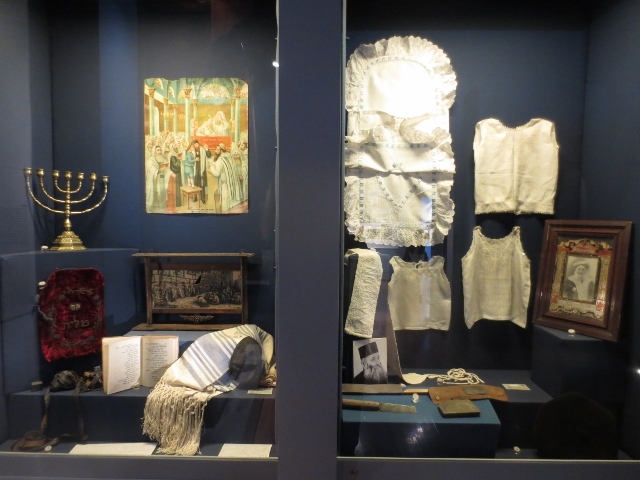 Located in downtown Thessaloniki in a building that once housed a leading Jewish newspaper, the two-story museum displays some 3,000 objects honoring the countless contributions of the city’s Sephardic community and painting a vivid picture of everyday life. All exhibits are in Greek, English and Hebrew. 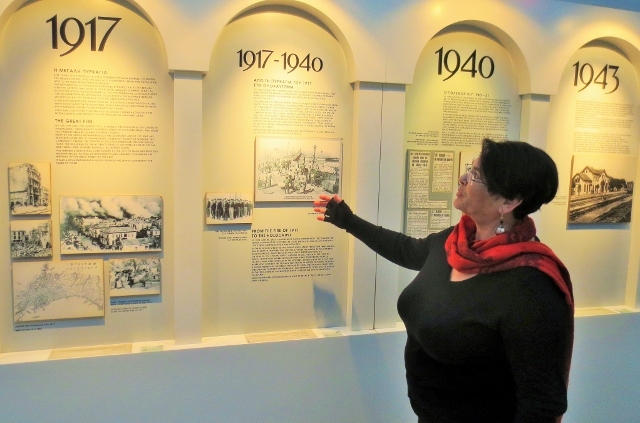 There is an exhibit devoted to Jewish history – including an easy-to-digest timeline showing the evolution of the Jewish community through the centuries — and a separate room about the Holocaust. 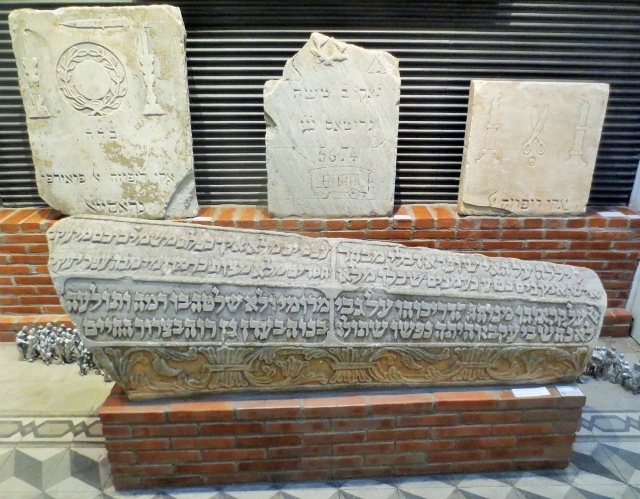 The ground floor features a number of historic gravestones originally from the massive Jewish cemetery, which was later destroyed by the Nazis. There also is a library with some texts dating back to the 16th century. Visitors interested in researching the Holocaust can access a computer database containing the names of 37,000 victims. It is believed that Jews were among Thessaloniki’s first inhabitants, arriving more than 2,000 years ago. But they didn’t develop a huge presence here until after the Spanish Inquisition forced them to flee Spain in 1492. Jews found Thessaloniki – then part of the Ottoman Empire — to be a safe-haven from the anti-Semitism spreading across other parts of Europe. For the most part, they lived peacefully alongside Turkish Muslims and Greek Orthodox Christians, and prospered in such fields as medicine, printing and education. The Jewish population in Thessaloniki reached a peak of 80,000 at the beginning of the 20th century, a time when they comprised half of the city’s population. So strong was Jewish influence in the city, the bustling port of Thessaloniki was actually closed on Shabbat and Jewish holidays. At one point, the Jewish cemetery housed more than a half-million tombs. Thessaloniki was incorporated into the Greek state in 1912; five years later, a fire destroyed most of the city’s Jewish Quarter, leaving 50,000 Jews homeless. It crippled the Jewish community and many Jews immigrated between the two world wars. In 1941, Greece was invaded by the Nazis, who forced the city’s Jews into a ghetto, then deported about 50,000 of them to concentration camps in Auschwitz and Bergen-Belsen. Less than 4 percent of Thessaloniki’s Jews survived the Holocaust. After a slow start when the museum first opened 14 years ago, word got out and its popularity has been steadily growing. “I remember our first year; if we saw two visitors per week, that would be great,” Zemour recalls. A half-dozen years ago, Israeli guidebooks began mentioning the museum and traffic soon soared. Last year, the museum attracted nearly 14,000 visitors. Zemour says that 70 percent of them are from outside of Greece, with Israelis constituting the largest group of foreign visitors, followed by Americans. About 3,000 Greek students toured the facility in 2014 on class fieldtrips, a segment of museum visitors that has jumped dramatically in the last two years. Zemour was told that an official in the Greek Ministry of Education recently recommended that more classes visit the museum to raise awareness of the Holocaust, a subject that is not typically taught in Greek schools. In addition to the museum, there are other Jewish-related sites in Thessaloniki, all within walking distance of each other. Across the street from the waterfront – a gulf that opens into the Aegean Sea — is a haunting Holocaust memorial. Designed by Holocaust survivor Nandor Glid, it depicts tortured victims melded together in a burning menorah. The oldest surviving house of worship, the Synagogue of the Monasteriotes, is also worth seeing. It opened in 1927 and became the center of the Jewish ghetto during the Nazi occupation. The building survived the War and later, a 1978 earthquake. 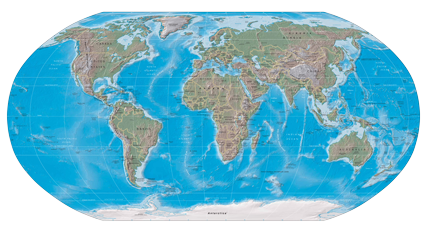 It is now used only for high holidays and special events. I also visited Thessaloniki’s most iconic site, the White Tower, the sole survivor of the 24 towers overlooking the sea that were once part of the city’s fortifications. The tower now houses a fascinating museum of the city’s history, including a number of exhibits referencing Jewish life. The top floor of the tower offers beautiful views of the Thessaloniki waterfront. Today, only about 1,200 Jews live in Thessaloniki, a tiny fraction of the number of Jews who thrived here more than a century ago. The city has one full-time rabbi, who presides over a synagogue called Yad Lezicaron. It opened in 1984 and is located in the city center a few blocks from the Jewish Museum. “We are not observant here in Greece, at least not after the war,” says Zemour of the local Jewish community. Regardless of one’s faith or heritage, Zemour says no visit to Thessaloniki is complete without a visit to the Jewish Museum, where the vitality of Jews’ contributions to the city’s past – and the ultimate tragedy of the Holocaust — is tastefully chronicled. “If people want to learn the history of Thessaloniki, they have to come here,” she says.